Technology plays a great part in helping to detect traces of cocaine through different advanced methods for drug testing, like using urine, blood, saliva and hair. You can detect the existence of cocaine using the following drug tests. To know how long will cocaine show in a drug test, the subject can undergo urine test. It can detect even the slightest trace of cocaine in his urine. However, this will depend on the manner of the cocaine intake. 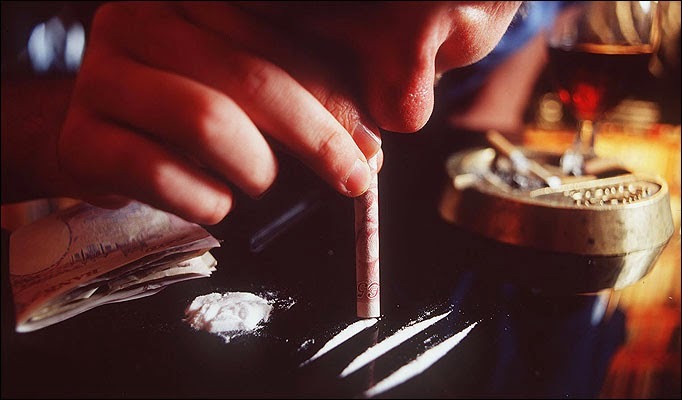 When cocaine is snorted, its detection is possible between 4-10 hours after the intake. When cocaine is injected, its detection is still possible, even after almost a day of the cocaine intake. Cocaine metabolites can still be found even after 2 and ½ days of the intake at a cut off level of 300ng. These metabolites include Benzoylecgonine, ecgonine methyl ester and coca ethylene when cocaine was taken with alcohol. The urine test is done in collecting the urine of the subject and the urine is placed directly into a cup exclusively prepared for this purpose and the test either performed by a rapid onsite drug test or sent to a lab. If a laboratory is used it will then be sealed with a tamper resistant tape to be sent for drug screening to the testing laboratory. While you can detect its presence, onsite drug test method cannot determine the exact time of the cocaine intake as well as the amount of cocaine used. Nevertheless, this method offers accurate results and is even a lot less expensive than any other drug testing methods. Detection of cocaine is now possible through various laboratory advanced methods like GC-MS methodology which is used to confirm a positive result from onsite urine drug test and determine the amount of cocaine present. Even if this drug test is more expensive and intrusive than urine test, it is more recommended and preferred by doctors in order to determine the effects of cocaine on one’s body through blood circulation. Results show more detailed information about its effects on a person’s body. The person is extracted from his blood sample and blood extracted will be subjected to several medical tests to determine which cocaine metabolites are present in the blood. Cocaine detection in the blood can take place within 5-6 hours after the cocaine intake. Results from this test are usually believed to be the most efficient of all and thus, has been the most preferred drug tests for detecting cocaine. An expensive method that involves laboratory testing, cocaine hair follicle drug test is non-invasive and bulk samples can be used to detect drug intoxication. The period of cocaine detection using this method can extend up to more than a month as long as the hair stays uncut during that period. Typically, detection can be done within a period of eight hours, which it could extend even up to more than a week. Washing or shampooing the hair may remove some cocaine deposits, its presence in one’s body cannot be totally removed from the hair. Cocaine detection using saliva should be done immediately after the substance is snorted, smoked or injected as its detection can only be done within a day or two after its intake. Determining how long you can detect the presence of cocaine in the body relies on several factors which include type of drug test used. Detection of cocaine or coke, snow, crack, rocks, and flake as it is more commonly known should be done within 24 hours after intake using several drug tests, but some tests can still detect its presence even three months after the last intake. The timetable for cocaine detection also depends on the person’s age, the rate of his body’s metabolism, his body mass, hydration level, the level of his physical activities, his health conditions among many other factors. You will find below an approximated detection window for detection of cocaine using a variety of methods for drug testing. Hair follicle drug test can be used to detect the presence of cocaine, from 6 days even up to 3 months after the last intake.